SCOOPS makes learning lax tons & tons of fun! SCOOPS Lacrosse has a single goal, to help kids to be better players, teammates, and individuals on and off the field. Participants (and coaches) have tons and tons of fun while learning the fundamentals of lacrosse. As your favorite local sporting goods retailer, we wish to remind those interested in Paddle Tennis that we have a readily available collection of gear waiting for you! Suddenly, Saturday soccer rolls around and… "Darn-it! I forgot to buy Virgil and Wanda new cleats!" 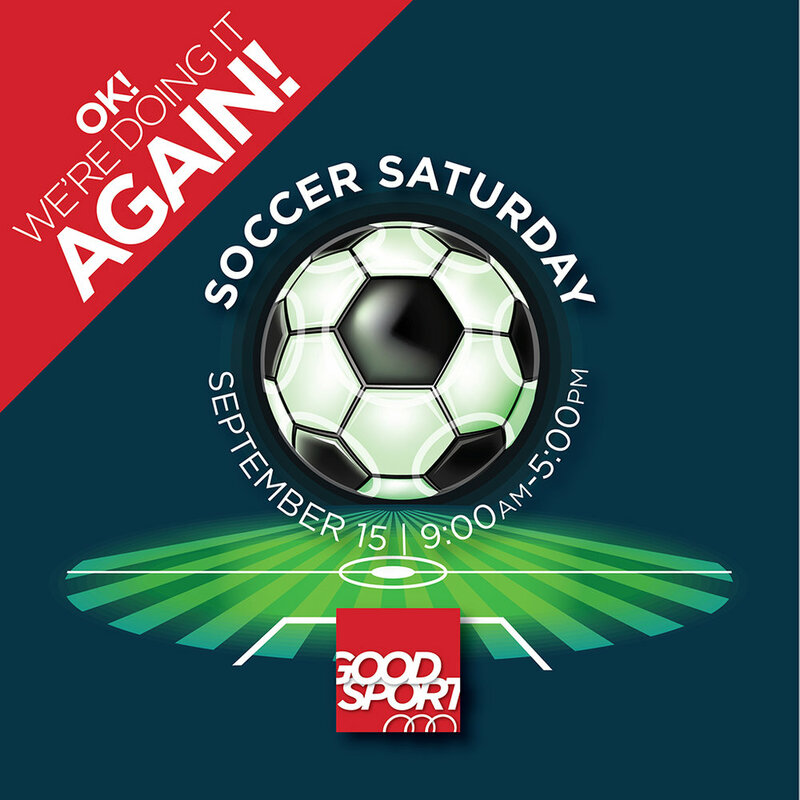 This Saturday, April 28, stop by the store for special pricing on soccer, softball, and baseball gear. As an additional incentive, each equipment purchase will qualify for a FREE pair of athletic socks or a thirst-quenching sports hydration bottle.